In the Heritage Foundation’s Index of Economic Freedom, Singapore ranks as the second most “economically free” country in the world just behind Hong Kong. Since many use this index as a shorthand for “most capitalist” countries, a lot of prominent people end up saying some really weird things about Singapore. For instance, in his Liberty Con remarks, Bryan Caplan claimed Singapore was one of the closest countries to the capitalist ideal. It is true of course that Singapore has a market economy. But it’s also true that, in Singapore, the state owns a huge amount of the means of production. In fact, depending on how you count it, the Singaporean government probably owns more capital than any other developed country in the world after Norway. The Singaporean state owns 90 percent of the country’s land. Remarkably, this level of ownership was not present from the beginning. In 1949, the state owned just 31 percent of the country’s land. It got up to 90 percent land ownership through decades of forced sales, or what people in the US call eminent domain. The Singaporean state does not merely own the land. They directly develop it, especially for residential purposes. Over 80 percent of Singapore’s population lives in housing constructed by the country’s public housing agency HDB. The Singaporean government claims that around 90 percent of people living in HDB units “own” their home. But the way it really works is that, when a new HDB unit is built, the government sells a transferable 99-year lease for it. 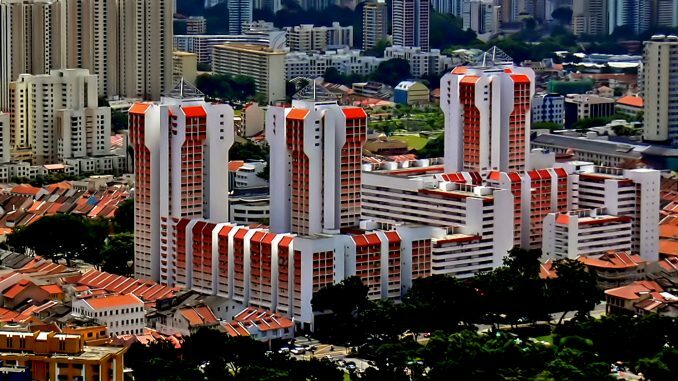 The value of that lease slowly declines as it approaches the 99-year mark, after which point the lease expires and possession of the HDB unit reverts back to the state. Thus, Singapore is a land where almost everyone is a long-term public housing tenant. Then there are the state-owned enterprises, which they euphemistically call Government-linked Companies (GLCs). Through its sovereign wealth fund Temasek, the Singaporean government owns a large share (20% or more) of 20 companies (2012 figure). Together these companies make up 37% of the market capitalization of the Singaporean stock market. The state also owns a large share of 8 real estate investment trust (REIT) companies (2012 figure), which they call GLREITs. The value of the GLREITs make up 54% of the country’s total REIT market. The sovereign wealth fund Temasek doesn’t just own domestic assets. It also is invested broadly throughout the world, especially in other Asian countries. In March of last year, Temasek had a net portfolio value of S$275 billion, which is equal to around 62% of the country’s annual GDP. To put this figure in more familiar terms, Temasek’s total holdings are equivalent to if the US government built a $12.4 trillion wealth fund. In this campaign, the candidate would say that the state should expropriate nearly all of the land in the country, build virtually all of the housing in the country, move almost everyone into public housing leaseholds, become the largest shareholder of more than a third of the country’s publicly-traded companies (weighted by market capitalization), and build out a sovereign wealth fund that holds tens of trillions of dollars of corporate assets. Would this campaign meet with a warm libertarian embrace or perhaps be derided as a bit socialistic?